Rental management doesn’t stop when leaving the office. 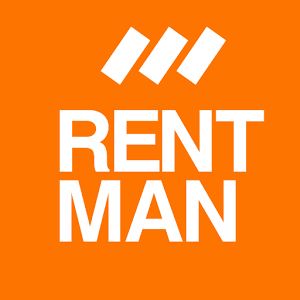 The Rentman app serves as an extension of the web application whilst traveling and on site. The Renman app is perfect when being on road, as for example the navigation to the venue is directly available through the app itself. Additionally every employee has insight to his or her personal schedule and crewmembers can be called directly through the app. The Rentman app is constantly developing, which means that new functionalities will certainly be added. We would like to hear which features you would like to see reflected in the Rentman app. Just send us your feedback and ides to support@onlinerentalsoftware.com. Download the Rentman Android app here. Download the Rentman iOS app here. The Rentman menu can always be found on the top-left of the app. Coming from this menu you can easily access your projects and materials. You can also change between accounts in case you’re a freelancer and need to swap between different business accounts. Accounts can be added or deleted easily.